People walk past a Pret A Manger cafe in London, Britain April 27, 2017. Jollibee Foods of the Philippines is exploring a bid for Britain’s Pret A Manger that could value the upscale sandwich chain at more than $1 billion, Reuters reported on Sept. 18, citing sources familiar with the matter. The $5.2 billion group had been holding talks with an adviser over an offer, the sources said. Jollibee declined to comment on Pret to Reuters but said the acquisition of new businesses was part of its growth strategy. 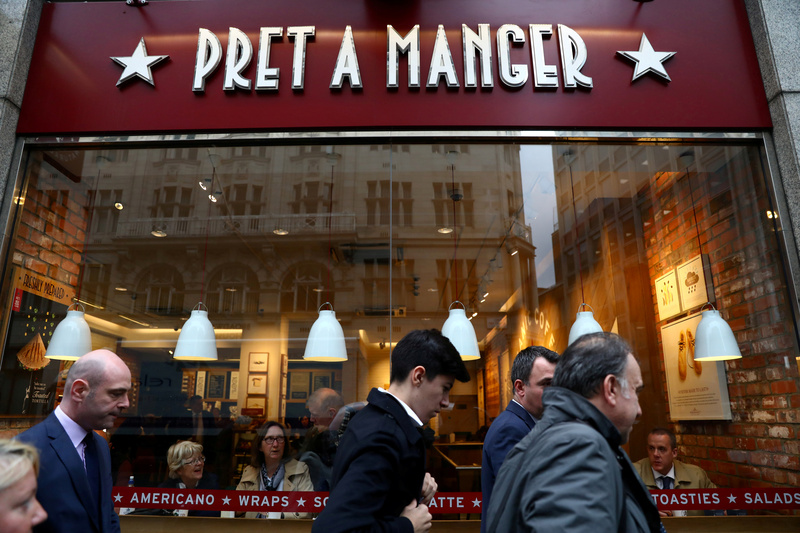 Pret and Pret’s private equity backer, Bridgepoint, declined to comment.